*NOTE: The "Total Price" in the Instant Quote box includes your REFUNDABLE security deposit of $300, the 9% Maine State Lodging Tax, and applicable fees. 4 Bedroom, 2 1/2 Bath beautifully decorated home. It is easy to enjoy yourself in this property when you are sitting in its sprawling gardens in the summer sun. 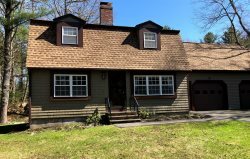 This property is a mere 13 minute walk to the village and exactly 1 mile to the Main Ogunquit Beach. Shaina was great - very responsive. Had a great stay at 257 Berwick Road - would recommend it for sure!